If you sleep you’ll get the top votes: 5 rules to follow! The secret of every college student in the form is: sleep time and sleep well. You’ll have more energy to study and graduate in time …! Many students believe that sleeping less is a wise and useful way to gain time to dedicate to study, especially when approaching an important exam. In fact, our clarity and our ability to stay focused will suffer, even if he does not realize it right away. The experts say the University of Oxford. You do not have to deprive yourself of hours of sleep required by your body. If you feel tired you will not help you stay awake forcibly. 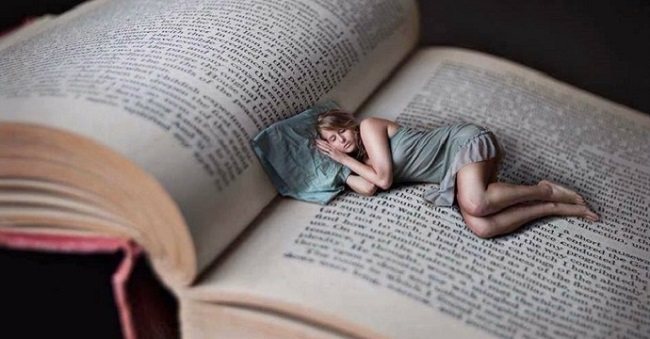 A good night’s sleep is the perfect remedy to study well the next day and to get great results examination. Here are some interesting suggestions to help you rest well. You can start to put them into practice right away! First avoids doze off on the books during the day and not ingest caffeine from the afternoon. Try not to always stay locked up at home, but you go out in the sunlight, perhaps to do some of physical activity. In addition, you should always keep the same hours to lie down and to wake you up, conditioned small variations on weekends only. In doing, so aid your physique to acquire the right sleep-wake rhythms and drains accumulated stress. Made a nice relaxing shower and listen to soothing music before going to sleep. You may also like to read another article on WeiWeiCS: Studying or going to break the chain! Use comfortable pillows and make sure the temperature in your room is not too high; otherwise you will wake up frequently during the night. 5. Give up your smartphone to bed! Most of us have the habit of watching TV and the smartphone until a moment before falling asleep. However, the artificial light of the screens disturbs our brain and tends to make us go to sleep, especially if we are people who have problems falling asleep. In these cases, the ideal would be to turn off the screens and to spend time before going to bed. Finally remember to set a relaxed tone, or a shocking awakening is guaranteed!